The five-time legislator Jairam Thakur is emerging as the frontrunner in the race as there is a kind of consensus building on his name. 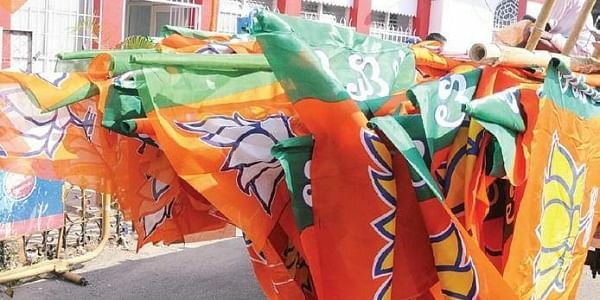 CHANDIGARH: The BJP high command is likely to take the final call on the next chief minister of Himachal Pradesh, as was in the case of Haryana and Uttar Pradesh. However, five-time legislator Jairam Thakur is emerging as the frontrunner in the race for the top job as there is a kind of consensus building on his name, BJP sources said. Himachal Pradesh Governor Acharya Devvrat on Thursday dissolved the State Assembly with immediate effect. Apart from Jairam Thakur, sources said that the names doing the rounds for the chief minister’s job are of former two-time Chief Minister Prem Kumar Dhumal, Union Health Minister Jagat Prakash Nadda, five-time MLAs Jairam Thakur and Rajiv Bindal, seven-time MLA Mohinder Singh, former state BJP president Suresh Bharadwaj and Krishan Kapoor and the dark horse Ajay Jamwal. Highly-placed sources said that the formal announcement on who will be the next chief minister of the state is likely to be made in New Delhi soon. Earlier in the evening central party observers Defence Minister Nirmala Sitharaman and Union Minister Narendra Singh Tomar arrived in Shimla to meet BJP legislators and to decide on the next CM. Supporters of former CM Prem Kumar Dhumal and five-time MLA Jairam Thakur resorted to sloganeering and counter-sloganeering. State party leaders and party workers accorded a rousing welcome to P K Dhumal as he arrived at the meeting. Hectic parleys took place in the core group meeting, which was also attended by Shanta Kumar, Anurag Thakur, Varinder Kashyap, J P Nadda and in-charge of party affairs in the state Mangal Pandey. As no consensus emerged, it was decided that the final call would be taken by the party high command. However, the core group observers decided to hold a meeting again on Friday with newly-elected MLAs and return to Delhi.